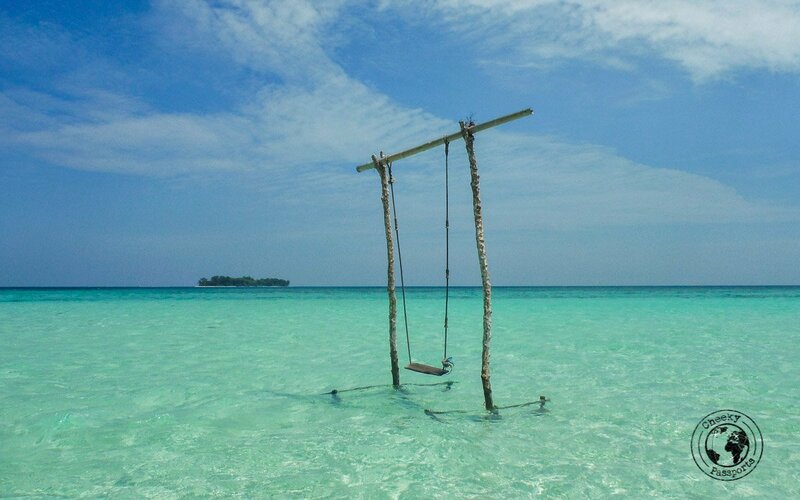 A few kilometres off the northern coast of Java, lie the beautiful Karimunjawa islands, an archipelago with a very slow-paced, sleepy vibe. Other than the chanting coming from the amplified speakers at the many mosques, there are few similarities here to the more urban towns on mainland Java. 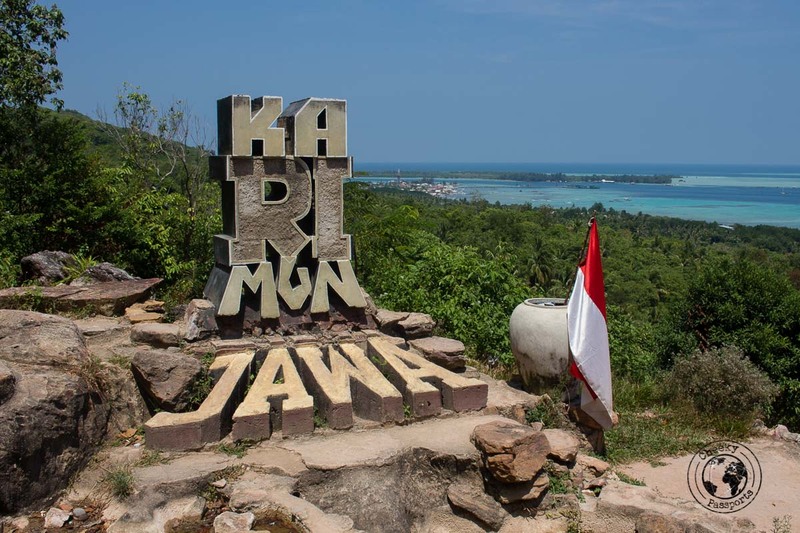 The main island in the Karimunjawa islands group is itself called Karimunjawa and is home to a small main town called.. you guessed it.. Karimunjawa. This is where most accommodation and tourist facilities are located. The island is not small but can be explored by renting a motorbike. 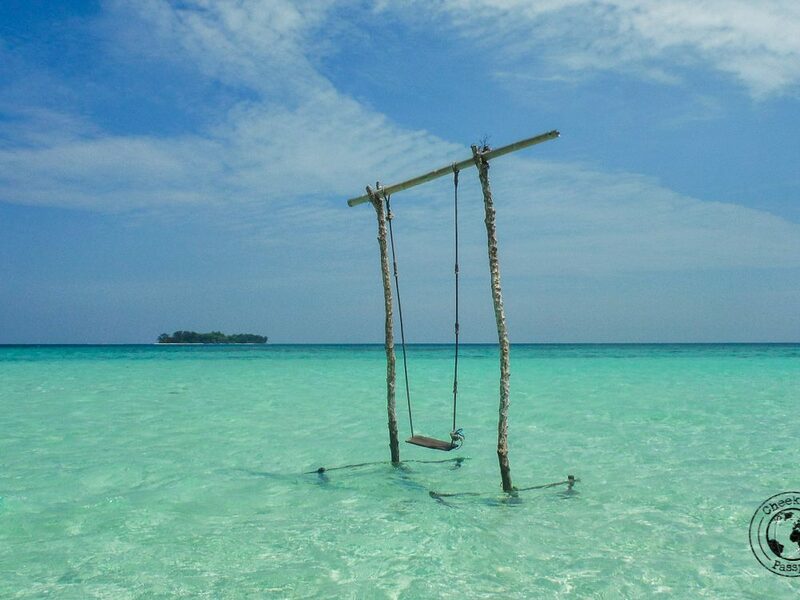 The Karimunjawa islands mainly cater to Indonesian tourists, but are also becoming increasingly popular with foreigners. Despite their close proximity to the main tourist hub of Yogyakarta, the Karimunjawa islands are still free from mass tourism with only a small percentage of foreigners including them on their Indonesia itineraries. 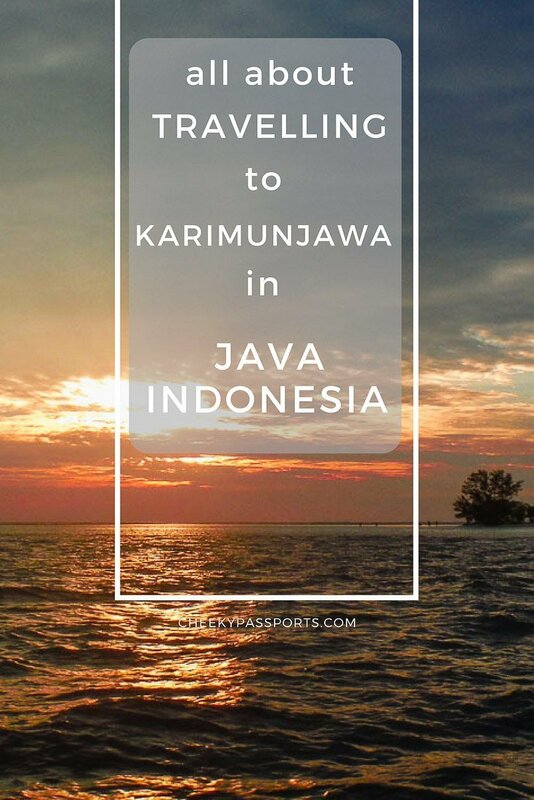 Here’s how to make the most of your stay on the Karimunjawa islands as well as information about Karimunjawa accommodation and getting there! Book your Bus, Rail or Ferry tickets in Java online with Easybook. 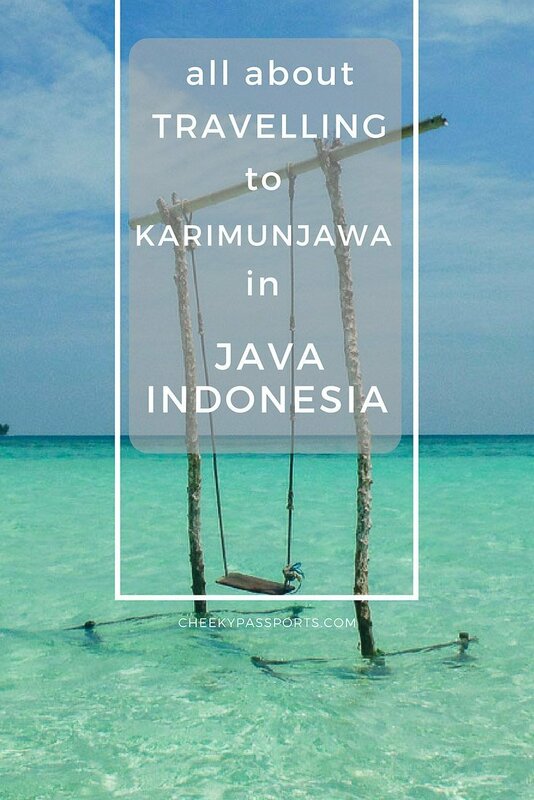 There are three options of getting to the Karimunjawa islands: the slow ferry from Jepara which takes about 6 hours (budget option), the fast ferry (mid-range option) from Jepara or Kartini which takes about 2 hours and a flight (a more expensive and less frequent option) from Surabaya. Your choice of transportation will probably depend on your budget, travel time and availability of the ferries and flights. The fast boat can be pre-booked the day before and costs 150,000 IDR (about €9.50), whilst the slow boat cannot be pre-booked and costs 75,000 IDR (€4.75). Flights depart from Surabaya and cost just over 300,000 IDR. At the time of writing this article, flights from Surabaya to Karimunjawa were available on Tuesdays and Thursdays while the Karimunjawa – Surabaya flight ran on Mondays and Wednesdays. You can check airline schedule and prices here. This option may be more cost effective if you plan to visit Surabaya after Karimunjawa. Schedules for boats should be checked at the time of travel. The boats to the Karimunjawa islands do not depart every day and the schedule is subject to frequent changes at a moment’s notice. It is important to note that the fast ferry and flights are often booked out on weekends and public holidays in peak season. We arrived at the Jepara port early morning to ensure that we would find availability for the fast ferry, but we were there so early that we were in time to catch the slow boat which is cheaper, and hence we managed to save some money. We weren’t this lucky on our return trip. On the day we had originally planned to return, the fast ferry was fully booked and so were the flights! It was a busy period and since many people were planning to leave the island that weekend, we assumed that the slow boat would also fill up very easily the following morning. Effectively, we decided to extend our stay and wait a few more days for the next fast boat, rather than wake up at 3am for the slow boat which might anyway be full. If you are taking the slow boat or fast ferry from Jepara, you are better off spending the night there. There’s not much to do in Jepara but we recommend staying at Hotel Nusantara (we thought it was comfy!). Dinner at Djago was pretty good too though it wasn’t cheapest restaurant around! The trip to Jepara can be organised by a private shuttle from Semarang, which in turn is also easily accessible from Yogyakarta. Although the main island itself is home to accessible beaches, we felt that the prettiest and cleanest ones are those on the small islands around it. White sand beaches lined with coconut trees, turquoise waters and shimmering sand bars around the islands gave off the tropical vibes we had been missing for a while. The boat stopped us at three separate snorkelling spots where we spotted turtles, a stingray and a vast array of fish and coral. Lunch was based on fish, rice, veggies and fruit. All in all, a great day cruising around the Karimunjawa islands. There were only few people around on the day we went, mostly Indonesian tourists and a few other backpackers. We organised the boat trip through The Happinezz Hostel, one of the most popular karimunjawa accommodation options, for the (pretty standard) price of 200,000 IDR (about € 12.50) each for a full-day join-in boat trip. This little area is just a few kilometres away from Kariminjawa town, best accessed via motorbike which you can rent from the town. Alternatively, you may try to hitch-hike, as no public transport is available. We rented a bike from The Happinezz Hostel for 50,000 IDR (about €3) for half a day. We’re pretty sure that you can haggle the price down but we were in a hurry that day! 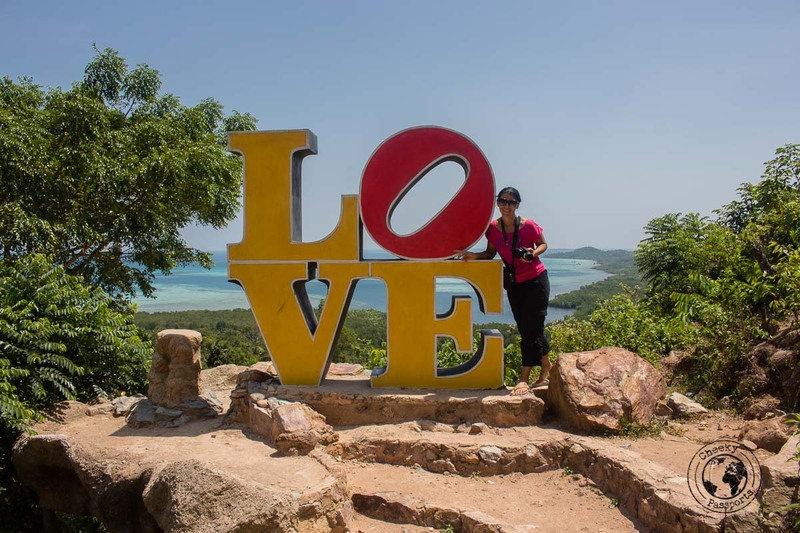 There’s a good view over the town from Bukit Love, and a “nest” you can climb up to for photos, as well a LOVE monument (hence the name of the place!). The entrance fee is 10,000 IDR (about €0.60) which is very affordable – still only come here if you want to take some nice pictures especially at sunset. Not much else to do. Hiring a bike, as explained above, will allow you to get off the beaten track and visit parts of the island which very few people visit, locals and tourists alike. We drove across most of the island stopping for photos opportunities, and at some of the beaches. Our first stop was the cutely-named Pokemon Beach. Sadly though, it was very dirty (as many Indonesian beaches tend to be) although the right side was slightly better than the left. We didn’t spend much time there. Anora Beach was our second stop. The area was equipped with some basic infrastructure here. Warungs can be found to one side of it and some locals were actually present, although no one seemed to be swimming. There was also lots of garbage randomly strewn about, so we didn’t spend much time here either. Honestly some Indonesian beaches deserve so much better in term of cleanliness. After driving across the island we decided to settle down on one of the more popular beaches on Karimunjawa. Tanjung Gelam, Sunset Beach and Pantai Batu Topeng all lie next to each other and can be accessed by foot from one to the other via a path which runs behind all three of them. The three beaches seem to be well-taken care of and we enjoyed some sun-worship and a quick nap here. They are more developed than the other beaches on the islands with warungs, shacks selling drinks and even umbrellas for hire. The three beaches are rather popular with both the local and the foreign crowd especially during sunset which is spectacular. We found that renting a motorbike and going off the beaten path was a rewarding experience which is apparently not too popular, since we didn’t see any other foreigners driving around on a bike when we were there! The roads are not bad but you will probably need to drive along some dirt tracks lined with stones every so often. 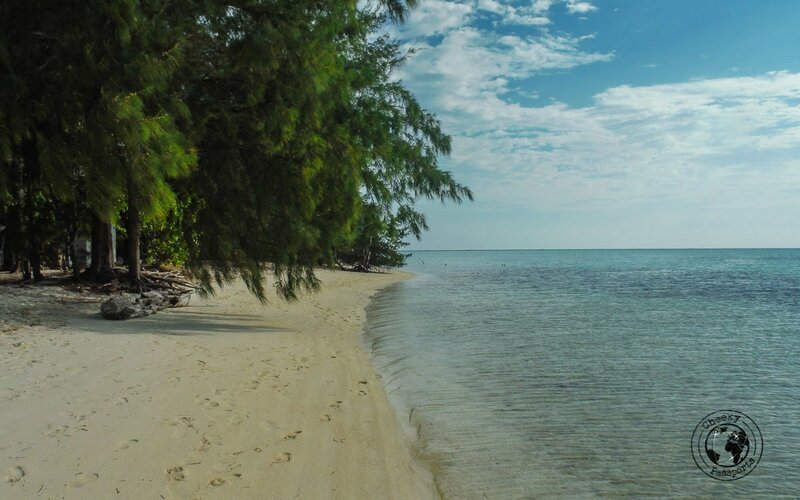 This is a great way of exploring parts of the island that aren’t accessible in any other way, and a great means of finding some hidden coves and beaches which are less popular or even unknown. 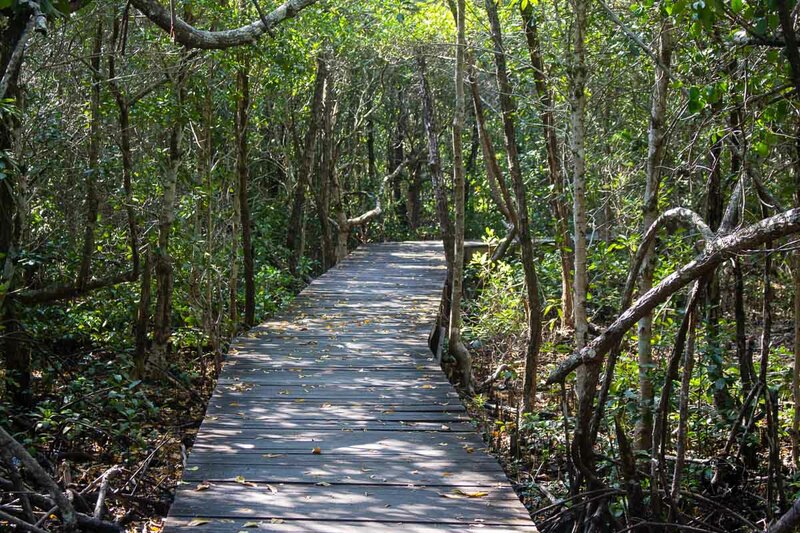 This protected mangrove area would make for a lovely trek amid raised wooden walkways… were it not so very expensive and quite frankly overpriced! We stopped at the entrance and started walking around (we were not aware of the entrance fee at the time) but after having walked a few metres around the deserted area, we were asked to pay the ticket at the booth. We hadn’t even realised that there was a ticket booth. We were happy to pay the entrance fee until we were made aware of the price. The regular price of 155,000 IDR (about Eur 9.70), is hiked up to 230,000 IDR on weekends. 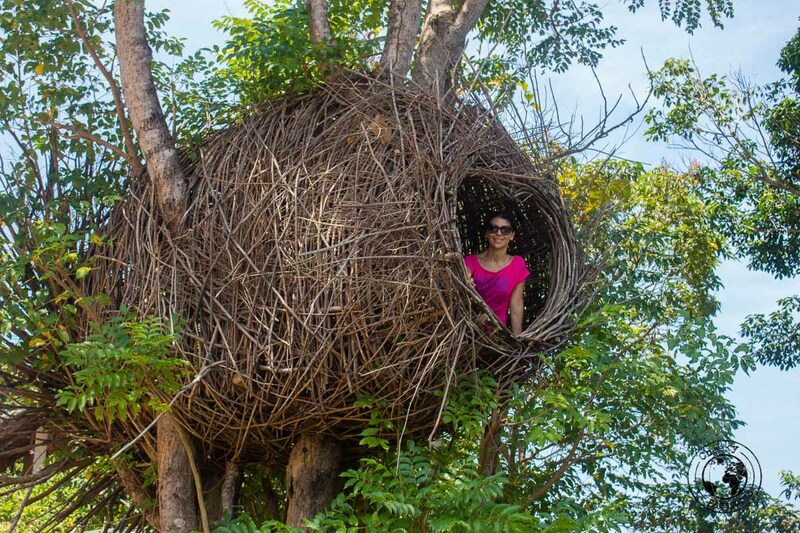 We believe this to be way too steep a charge for a walk among the mangroves. We decided to abandon this activity in favour of more time on the beach. 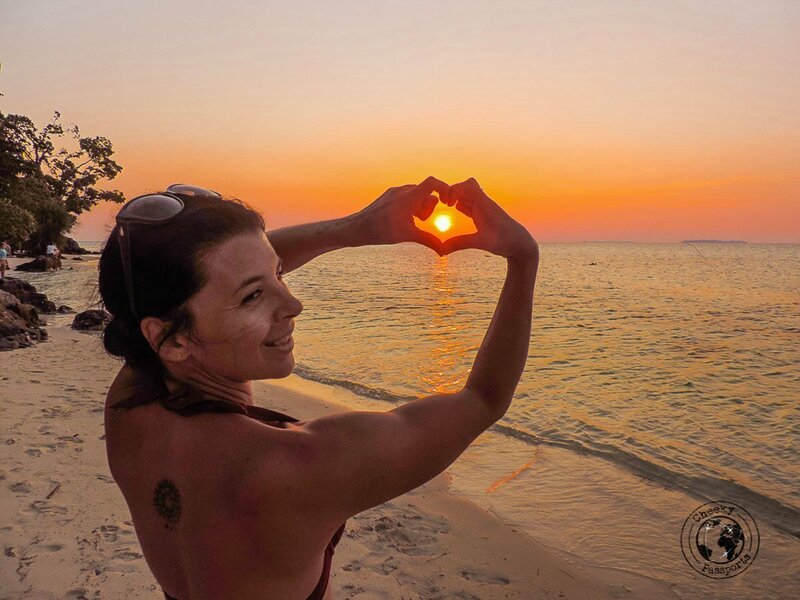 We really wanted to stay at The Happinezz Hostel during our stay because we had heard great things about the popular Karimunjawa accommodation, and knew that they would organise the activities we were interested in, however it was fully booked. We chose instead to stay at Asia Jaya Homestay which was a good alternative and slightly cheaper. The only disadvantage was that it was located right next to the loudspeaker of a mosque, and being light sleepers, we were woken up every morning at around 4am by very loud prayers. Facilities at this Karimunjawa accommodation basic but the owners are very nice and there’s a good hostel vibe going on. 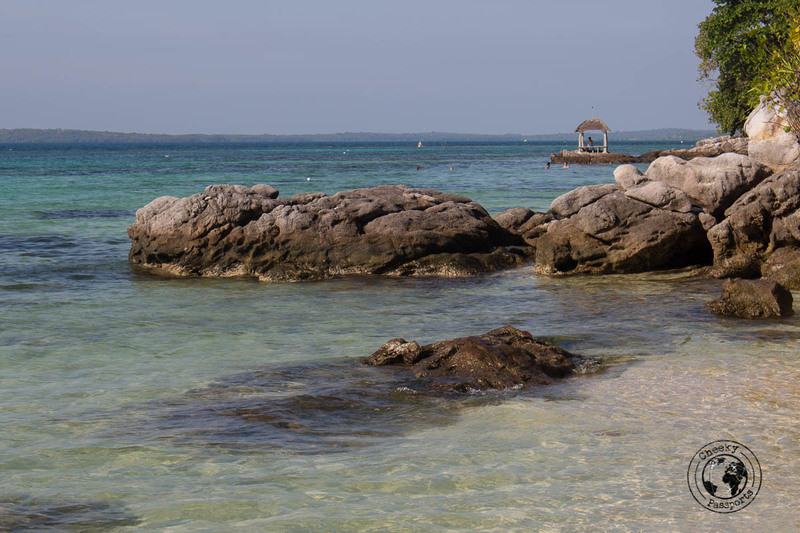 If you’re looking for luxury, consider staying at one of the more secluded luxury resorts on the Karimunjawa islands such as the Kura Kura Resort. Our favourite place to eat was surely the fish night market in Karimunjawa town where several stalls selling fresh fish are set up every evening. 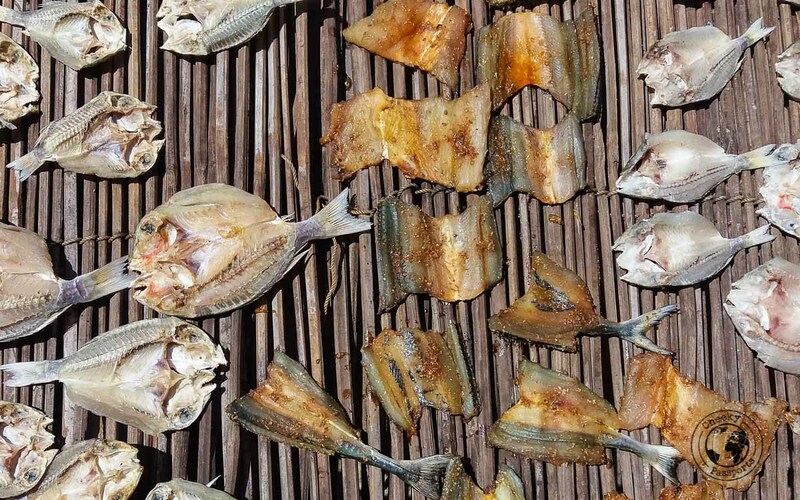 After having chosen your fish and method of preparation (grilled/fried/spicy etc), you’re directed to long low tables set up in the square (which doubles up as a football pitch). The fish is served with rice and sometimes veggies. We found the quality to be excellent and the simple meal highly enjoyable. We must have eaten here about six times and tasted stingrays, crabs, calamari, shrimp and all sorts of other fish. 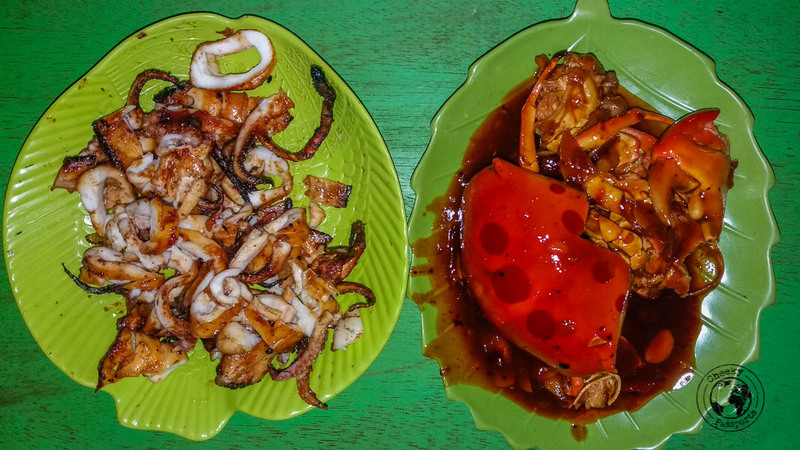 This was actually the first of many fish night markets that we would visit in Indonesia, and is easily one of our preferred dining options being both affordable and healthy (a rarity in Indonesia). Some stalls sell fresh juices and some others serve non-fish items such as nasi & mie goreng and bakso among others. 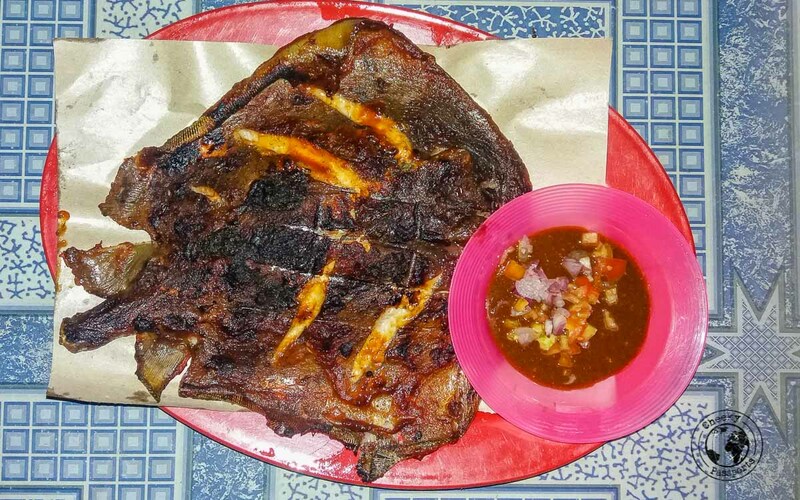 Boasting an extensive menu with delicious burgers, this restaurant in Karimunjawa town is also known for serving pizza, which is baked in an actual pizza oven, but is unfortunately a far cry from the authentic pizza we are used to, although we must say that we enjoyed this version too. The dough is very thin and light so you might not find it very filling (especially if, like us, you hail from the Mediterranean where portions are typically large and heavy)! One time I had fish in banana leaf which was also pretty good and well-presented, though again I’d have appreciated a larger portion. Prices are expensive for Indonesia (although you should always expect to pay more for western food vs. local food). 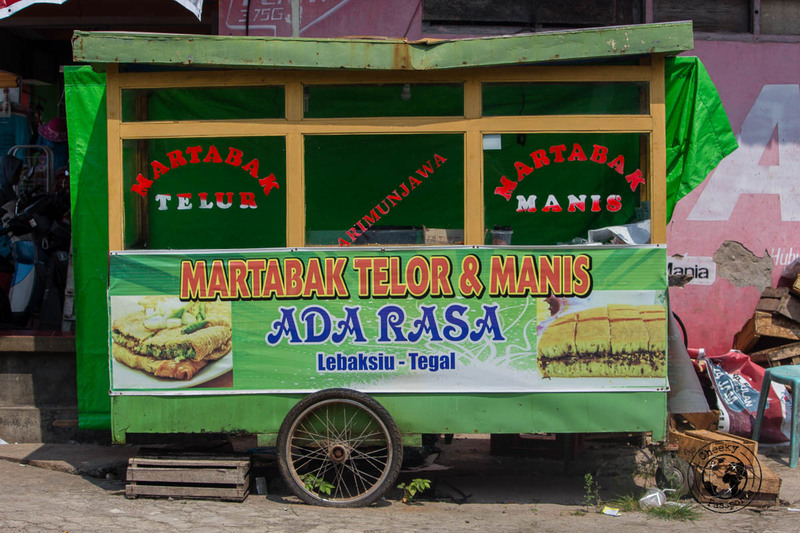 Further up the road from Eat & Meet is a street food hawker offering a few variations of Murtabak and Terang Bulan. The very affordable joint sells take-away huge portions of the oily Indonesian comfort food, which you may well consider if you’re not too fussy about healthy eating! Power outages are very frequent and particularly annoying at night when fans and a/c cease to run in the intense heat. Some places have generators available but not all. It’s also best to carry a flash light. The largest community on the island is Muslim. Respect the locals. It is disrespectful (and frowned upon) to run around the islands in skimpy beach wear. Cover up! 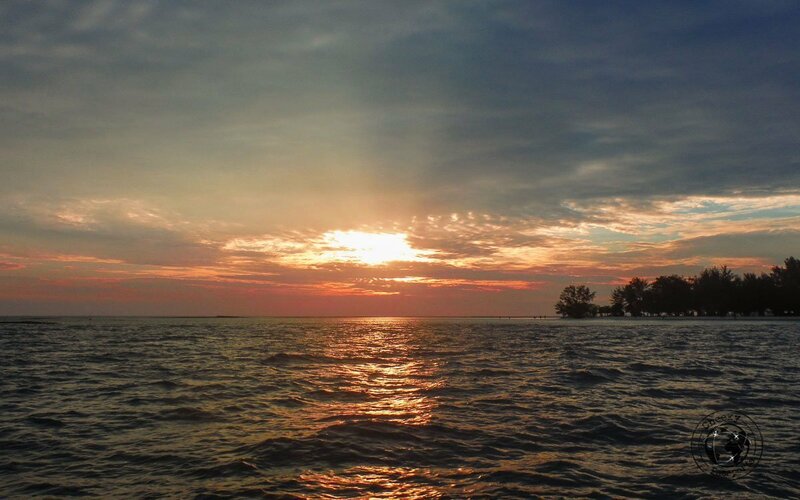 Carry your belongings in a Dry Bag when you are on a boat tour around Karimunjawa Islands. Take enough cash with you. Although there’s an ATM on the island, it often does not work or is out of cash. Because of the lack of transport options out of the Karimunjwa islands, we eventually extended our stay to ten days. Honestly, this was not a difficult decision – spending more time on a tropical island fringed with coconut trees, home to relaxing vibes came easy! Five to seven days would have been sufficient though. 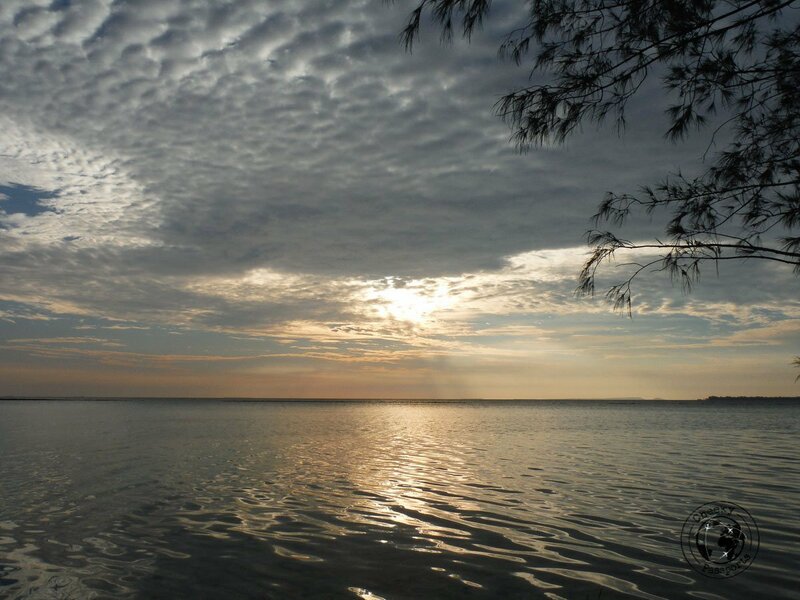 If you’re in Java, we highly recommend including the Karimunjawa islands on your itinerary. It’s a charming archipelago, where time seems to become irrelevant and living is easy! “White sand beaches lined with coconut trees, turquoise waters and shimmering sand bars around the islands…” How does it get better than that? I appreciated your thorough coverage of this lesser known island, and that you shared your honest experiences rather than sugar-coating. Curious, was the stingray rubbery like shark, meaty like swordfish, flaky like white fish? Strong flavor? Never had it and love seafood. You’ve piqued my interest! hi Jackie, thank you for your comments 🙂 I’d say that the string ray was very meaty with a medium fishy taste 😀 . We totally suggest trying it out, it was the first time for us as well 🙂 Let is know if you do, I’d be curious to know what you think of it!